Sometimes people come up with brilliant ideas out of the blue – an innovative way of attacking a problem that suddenly reveals the obvious solution from a fog of uncertainty. Mort Smith and his brother, Alan, stand beside Terra Nova – are they all too old for another adventure? A case in point is a plan suggested by Kingston upon Thames Council, aimed at providing cyclists with an alternative to using town centre roads. The idea is to build a cycle-way in the river. No, I’m not joking. It would run from the Kingston road bridge for around 700 yards upstream on the Kingston bank of the Thames to join up with a new bridge. The idea is to provide a pleasant diversion for cyclists, who could bypass the town centre while riding along pontoons that would either be secured to the bank or on poles driven into the riverbed. This is apparently all part of a plan to secure some of the £100 million that Mayor Boris Johnson has put up to improve the cycling infrastructure of the capital. But the River Users Group 8 chairman Mike Shefras has already flagged up a warning, saying there is no knowing what such a floating pontoon would do to the flow of the river, nor how it could affect boats trying to moor on the Kingston bank of the river. Matt Carter, Environment Agency waterways manager for the Thames, has also registered concerns. He wants to meet with council representatives to find out exactly what they have in mind before giving anything the agency’s approval – the EA being the final arbiter on anything to do with the river. Rowing and sailing clubs have also reacted with alarm. Perhaps it’s just me being my normal pessimistic self (my dear wife dubs me Eeyore) but no one seems to have mentioned the most obvious drawback to this plan – namely that directing families to ride on a wet pontoon (particularly in mid-winter, when the temperature is freezing) is akin to booking a first-class ticket on the Titanic. I’ve slipped over on enough frozen deck surfaces in the depths of winter to realise just how dangerous an occupation walking on them can be. How much more dangerous would it be to watch children, mums and dads pedalling across a frozen pontoon with a flooded river racing past below them? 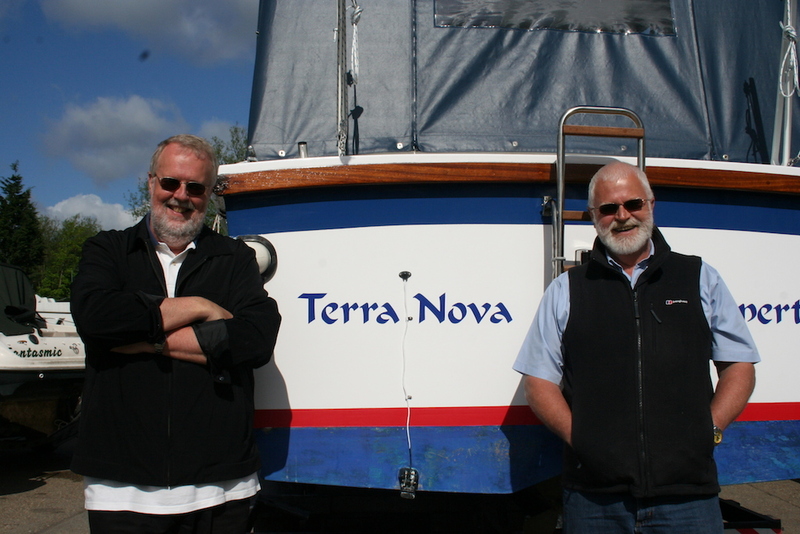 MY BROTHER Alan and I have for many years been talking about replacing the engine in our old Seamaster cabin cruiser, Terra Nova. The current unit is a very old Perkins 4.99 diesel, which we think dates back to around 1968. It occasionally overheats or starts leaking oil and it doesn’t exactly give you a lot of confidence if you’re considering heading off down the Thames into the tidal section, when you can’t be sure the engine isn’t going to pack up in the middle of a sea lane with little or no warning. The trouble is, we both feel that it’s just not worth it. We’d probably end up spending £2,000 to £3,000 on an engine and we’d never get our money back on such an old boat.